Subscribe now to our on-line edition with this special offer for students. Pay just £16 for an entire year saving 50% on the normal subscription rate. Your subscription gives you each month’s complete issue, which you can consult on our website. You will receive a summary and all articles for each monthly issue by email. 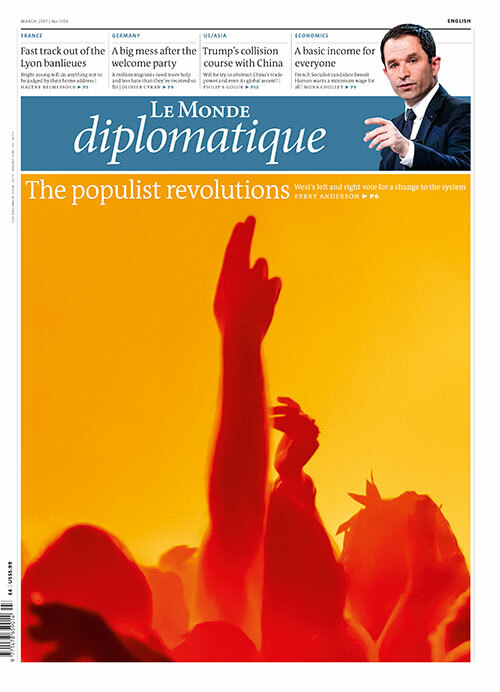 A subscription also gives you access to the complete Le Monde diplomatique online archive, a unique online resource stretching back over twenty years. Please note that you will be billed the GBP amount. $ and € rates are for guidance only. This offer is only available to students. Direct Debit subscriptions will be automatically renewed unless you cancel before the renewal date.